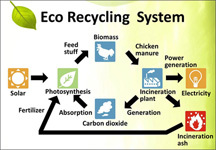 Miyazaki Biomass Recycle (MBR) was established in May 2003 with funding from Nishinippon Environmental Energy Company, a subsidiary of Kyushu Electric Power Company, and several poultry farming cooperatives in Kawaminami, Miyazaki. The company built and operates a biomass waste-to-energy plant that helps to dispose of the poultry litter generated by the farms in the surrounding area. While it earlier had been possible to dispose of all this waste by using it as fertilizer, a significant increase in the amount of generated waste necessitated the construction of this facility. This need was made more pressing by a 1999 law that requires livestock breeders to properly dispose of livestock waste. MBR's plant uses a stoker-type furnace to incinerate the poultry litter. 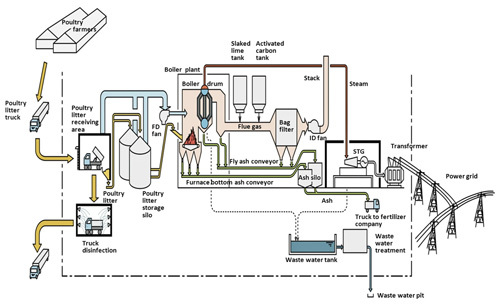 Steam produced using the thermal energy from the incinerator drives a steam turbine and electricity generator with a maximum output of 11,350 kilowatts. The plant is capable of incinerating 440 tons per day of poultry litter. The electricity is sold to Kyushu Electric Power Company and the incinerator ash is sold to fertilizer companies. 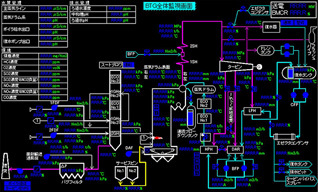 All operations at this biomass waste-to-energy facility are monitored and controlled using a Yokogawa solution consisting of the CENTUM CS 3000 production control system, Exaquantum plant information management system, field instruments, and analytical instruments. The moisture content of the poultry litter varies depending on how it has been stored, the type of poultry house that is used, and the season. The calorific value of the poultry litter depends mainly on the moisture content, and any variation in this leads to fluctuations in the amount of steam generated by the boiler system. To help maintain a consistent moisture content, the poultry litter is mixed at the receiving point and when in storage. Any remaining variation in the moisture content is dealt with by adjusting the speed of the conveyers that feed the poultry litter to the furnace. By these means, a constant steam flow rate is maintained. To further optimize the combustion process, a Yokogawa zirconia oxygen analyzer measures the oxygen content at the furnace outlet. Based on this data, an oxygen trim control system makes continual adjustments to maintain a constant air/fuel ratio. Poultry litter normally contains alkali elements such as sodium and potassium that have a lower melting point and which are likely to adhere to the furnace's inner walls and the boiler tubes if the temperature is allowed to go too high, which reduces combustion efficiency and necessitates frequent maintenance. To keep the temperature within allowable limits, the temperature of the exhaust gases exiting the furnace must be measured and monitored. To help prevent melted soot from adhering to surfaces in the furnace and boiler tubes, many blowers have also been installed. 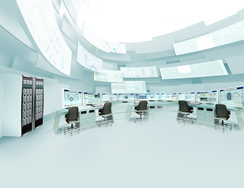 The Yokogawa CENTUM CS 3000 system controls all of these processes so that this plant can operate safely and efficiently 24/7 and ensure the stable generation of electricity. This plant is shut down for maintenance approximately 35 days a year. For the cold startup of the boiler system, the furnace is initially heated up using burning A-type heavy oil. When the furnace reaches the desired temperature, the operators switch over to poultry litter fuel. Each step of the startup sequence is automated by the CENTUM CS 3000 system and graphics on the system's human interface stations (HIS) clearly indicate the status of each process. The CENTUM CS 3000 system also executes an automatic turbine startup (ATS) function. The automation and display of information on the boiler and turbine startup procedures reduces operator workload and helps to ensure a smooth and safe startup. Odor is a significant issue at this biomass waste-to-energy plant. Countermeasures include the use of a forced draft fan to draw air from the poultry litter receiving area and storage silo into the furnace, where it is thermally cracked. Also, the air pressure inside the furnace is maintained at slightly less than atmospheric pressure by means of an induced draft fan, ensuring that no offensive odors are released from the furnace. 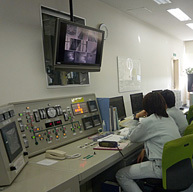 In summary, the CENTUM CS 3000 production control system and other solutions provided by Yokogawa ensure the safe, efficient, and stable generation of electricity at the MBR facility. Complex feedback control strategies and sequence functions are all configured in the CENTUM CS 3000 system. 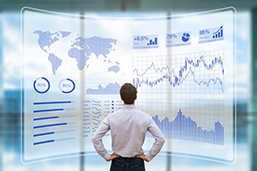 With the information provided on the system's graphic displays, operators can stay on top of the entire process and thus are able to see clearly, know in advance, and act with agility. "Each day, we incinerate 400 tons of poultry litter, which works out to 130,000 tons a year, and generate enough electricity for 17,000 homes. The ash is rich in phosphorus and potassium, and we sell it for use as fertilizer. We have collaborated with local farmers to solve the problems caused by poultry waste and are contributing to a sustainable society by converting this poultry litter into electricity and fertilizer. This is a true eco-recycling system." "Yokogawa's system excels in controllability, ensures the early detection of abnormal conditions in the combustion process, and automatically tracks each actuator. With this system, we are able to run the plant with fewer operators while still being able to take quick action in any emergency. The plant has achieved uptime comparable to that of conventional fossil fuel power generation plants." The OX400 is a highly accurate and reliable low-concentration zirconia oxygen analyzer that is capable of measuring a wide range of concentrations, from 0-10 ppm up to 0-100 vol%O2.